Under the direction of our founder Craig Morris, Petite Planete reviews our clients‘ analyses and also contributes to them. 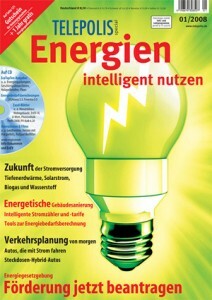 We specialize in particular in explaining German energy policy in English. Morris’ work is syndicated in Japanese and Dutch. Morris is known for his criticism of the focus on “grid parity” for solar going back to 2010. Instead, he focused on parity between solar power production and peak demand in the summer – and on the winter gap. He now points out that solar power storage should focus on grid needs, lest people defect from the grid. He has written about how the coal plants that went into operation in Germany after the post-Fukushima nuclear phaseout were all planned years earlier – and that more coal plants had been canceled than added to the pipeline. He is a proponent of community energy projects. 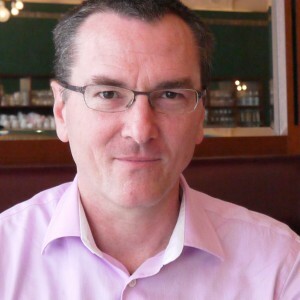 Craig Morris is arguably the most well-informed, thoughtful, careful, and clear reporter and analyst of the German energy scene and related developments. His exceptionally valuable and instructive blogs are my most important single resource for understanding the Energiewende." Morris’ insightful analysis of renewable energy development in Europe and beyond is the first thing I turn to every morning. Truth-teller and myth-buster extraordinaire: With figures and sober analysis, Craig Morris cuts through the fog and confusion created by distractors of the Energiewende; he clarifies the issues and focuses on the essential. 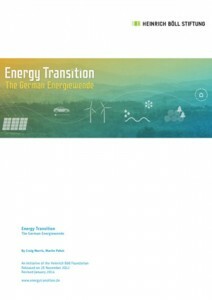 His blogs are required reading for anyone wanting to understand the dynamics of Germany‘s energy transformation." What I love about his stuff is the indefatigable sense of standing for something better." 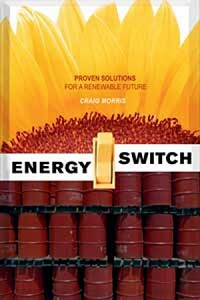 Craig Morris' insightful analysis is the number one reference point on anything regarding the German energy transition." Craig's work is one of the few newsletters that I actually read." Craig's keynote presentation during my visit to Germany made me understand "why", not just the "how much" for feed–in tariffs." Born in the United States, Craig Morris has been working in the energy sector since 2001. He currently publishes every day at Renewables International and every week at EnergyTransition.de. His writings about environmental / energy issues and energy policies in the US and EU have been published in Worldwatch Magazine, Heise Verlag, neue energie / New Energy, Refocus, SolarServer, Solar Today, Grist.org, Alternet.org, the San Francisco Chronicle, Development + Cooperation, Greentech Media, Energy Post, pv magazine and Photon.